Looking to Relieve Joint Pain Naturally? 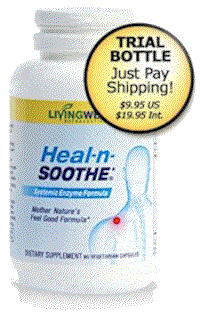 Heal-n-Soothe power packed proteolytic enzyme combination all-natural anti-inflammatory. Recent research has actually shown that certain herbs, enzyme blends, and other natural ingredients could lead to the pain relief you are looking for.